Is the West a victim of its own past? A curious search for blankets is currently taking place in the plains around the Great Lakes in North America. These are not ordinary blankets. They are actually bison skins that were smeared with body fluid tainted with smallpox and used, two hundred years ago, to obliterate American Indians. Post 9/11, us authorities fear that some such blankets might still exist, and a viable source of smallpox might fall into wrong hands. Many areas in the us and Canada have been cordoned off. But the operations remain shrouded in secrecy: so far there is no official statement from any Canadian or us agency about the discovery of any smallpox tainted blanket. The search may not yield anything, but it has again brought to the fore some sordid pages from American history. Many historians trace the notorious blankets to a gruesome episode in American history during the spring of 1763. That year, a party of Delaware Indians, led by their Ottawa chief Pontiac, laid siege on the British-owned Fort Pitt (now Pittsburgh, Pennsylvania). Captain Simeon Ecuyer, a Swiss mercenary and the fort's senior officer, saved the day for the British. 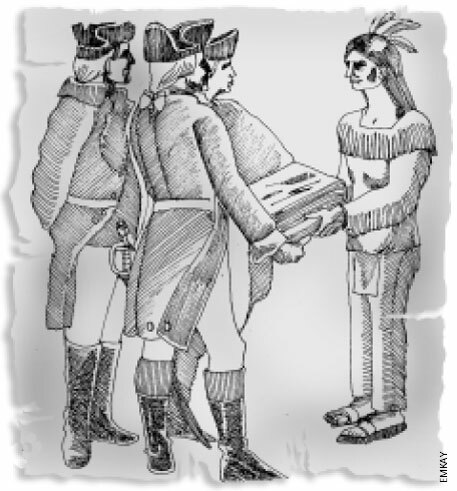 The Indians agreed to temporarily abandon their siege in return of a gift of two blankets and a handkerchief. They had no inkling that the wily Ecuyer had deliberately infected the presents with smallpox contagion. This episode is confirmed by William Trent -- the leader of the militia of European settlers at Fort Pitt -- in his journal. Most historians regard this source as the "most detailed contemporary account of the anxious days and nights in the beleagured fort." Trent notes in an entry dated May 24, 1763, "I hope the means have the desired effects." They indeed had. By July 17, smallpox had become endemic among the Delaware Indians. 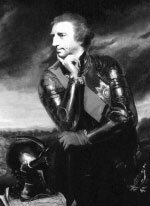 Another villain in this piece is Lord Jeffrey Amherst, the commander of British forces in North America during the final battles of the French and Indian wars (1756-1763). The general's correspondence shows that he entered into tacit collaboration with his bitter colonial rival, the French, to further the dubious methods initiated by Ecuyer. In his book, The Conspiracy of Pontiac and the Indian War after the Conquest of Canada (Boston: Little Brown, 1886), historian Francis Parkman notes that Amherst and a French general Henry Bouquet exchanged regular letters about spreading "smallpox mong the disaffected tribes of Indians." Bouquet was aware of Ecuyer's method. In a letter dated June 23, 1763, he notes that smallpox had broken out among Indians at Fort Pitt. And on July 13, 1763, he suggests "the distribution of smallpox smeared blankets to innoculate the Indians." Amherst approves of the method in a letter dated July 16, 1763 and also queries his French interlocutor about other methods, "To extirpate this execrable race." Bouquet and Amherst also discuss the use of dogs to hunt down Indians, called the "Spanish method". But this method could not be put into practice, because there were not enough dogs. Amherst had been at war with the French as much as with the Indians, but he was not driven by any obsessive desire to extirpate them from the face of the earth. The French were apparently a "worthy" enemy. But the general had no scruples about methods when it came to Indians. His letters abound with phrases such as, "That vermine (sic) have forfeited all claims to the rights of humanity." The historian J C Long, records the general as saying, "I would be happy for the provinces [Pittsburg] if there was not an Indian settlement within a thousand miles of them." Other historians have noted that Amherst derived almost sadist pleasure in listening to accounts of spies and others who reported smallpox in Indian settlements. European colonialists like Amherst and Bouquet could go on with exterminating Indians using the notorious blankets because they themselves were armed with the knowledge of inoculation. The process was discovered by a Dutch physiologist Jan Ingenhaus and was brought to England in 1721 by one Lady Mary Wortly Montague. It involved inoculating healthy people with pus from the pustules of those who had a mild case of the disease, but this often had fatal results. But colonialists like Amherst did not have to wait for long. By the closing decades of the eighteenth century, they could carry on with their methods with even greater impunity. By that time, British physician Edward Jenner's reserarch on the relation between cowpox and smallpox had begun to yield decisive results. And in 1796, Jenner reported that humans could be vaccinated against smallpox if a small dose of cowpox could be administered to them. Such knowledge was of course kept away from indigenous people in the colonies. And colonialists like Amherst continued to exploit the divide of who knew and who didn't. This divide persists. Today, the West remains in mortal fear of strange new diseases that originate in Asia (Severe Acute Respiratory Syndrome, or sars; avian influenza) and Africa (Acquired Immune Deficiency Syndrome or aids, Ebola and monkeypox). But almost all vaccination measueres are designed to protect citizens of the developed world. There is very little effort to protect those who face the greatest risk from violent diseases. For example, discontinuation of smallpox vaccination in Africa has exposed many in the continent to other related infections, like the monkeypox. The threats of bioterrorism are real and relevant. But the real challenge is to protect those who who actually live with mysterious diseases. However, developed societies continue to live with the Amherst syndrome.